The owners, Peter & Tony Sparacio were both born in the small town or Carini in Sicily, Italy. Their father brought Peter with him to Brooklyn, N.Y. in the early seventies. Here they both worked with their relatives in the family owned pizza shops. In 1976 they bought Riviera 1 from Peter’s father’s brother in Medford Lakes. Younger brother Tony who had come over to the States in 1974 and at the age of 15 entered into the family business. Their father passed away in 1981 so the brothers took over the business with their mother making many of the Italian sauces, and the home made soups. 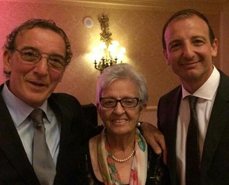 Sadly, Tony & Peter’s mother who was so influential in the business passed away in her hometown in Italy with her family by her side in August 2015. In 1991 they bought the Red Rooster deli at the corner of Tuckerton & Taunton Rds in Medford and thus came Riviera 2. Their success has come from hard work, and a dedication to offering their customer the VERY best product made from a family recipe using only the finest quality ingredients they can buy. Their latest business is a result of the brothers’ desire to own a bigger more elaborate restaurant that would serve the finest quality steaks, chops, seafood, and fantastic home style Italian dishes. So in 2005 the brothers bought the old Country Side Inn. After extensive remodeling, expansion and a lot of work personally done by both Peter & Tony, the La Campagnola was created. It opened in 2006 and has become truly one of the finest restaurants in Burlington County. The comments from many of their customers are the restaurant presents a warm friendly atmosphere that serves wonderful food. Besides sharing in the businesses, both brothers have the same love for Nascar and Formula 1 racing. They have traveled around the Eastern United States and Canada to watch the races. They both enjoy driving go carts and compete on the local tracks in the area. Yes as you would expect coming from Sicily they both love the Ferrari and have it on their want list. 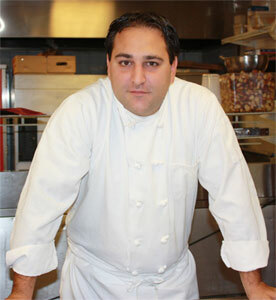 Michael Nuciglio began his love of cooking at an early age by beginning to work in kitchens at age 15. After graduating from Shawnee High School in 1994, he went on to attend and graduate for Atlantic County’s Academy of Culinary Arts. Michael continued to hone his culinary skills by working in several fine-dining establishments while under the tutelage of some outstanding chefs. Michael worked for the Sparacio family for six years and in 2005 they provided him the opportunity to make his own mark by opening up their new restaurant. The Sparacio family hired Michael as the Head Chef of La Campagnola Restaurant where he developed comprehensive menu and went about effectively managing the kitchen team. Michael’s philosophy on food is that is brings families together. It is because of this philosophy that Michael goes on creating new dinning experiences while only using the freshest of ingredients. Michael prides himself on the fact that after years of studying, training and refining his craft, he still gets excited about trying new recipes and creating great dishes.